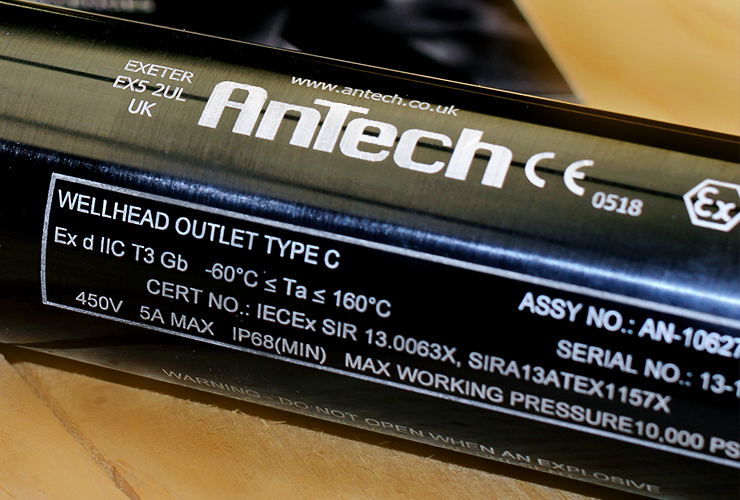 Of all the confusion generated by the cryptic ATEX marking scheme, often the worst is caused by the different temperature ratings applied to a unit. The first thing to realise is the difference between ambient temperature and maximum surface temperature. Ambient temperature is the easiest – that’s the highest external temperature touching the unit – be it air temperature, temperature of what it’s attached to or the heat of the sun warming the unit. By default ATEX assumes -20°C to +40°C, but often manufacturers will apply extended ratings which will be written as (-20°C < Ta < +60°C). Surface temperature is harder – not least because of the counterintuitive numbering scheme! Any piece of electrical equipment dissipates power, even if it is just a wire or a connector block. This power creates a temperature rise. Add this temperature rise onto the ambient temperature and you get a maximum surface temperature. Why does this matter? Gases will at different temperatures. Less volatile gases such as hydrogen can come into contact with temperatures up to 536°C before risk of ignition. In the event of a gas such as Carbon Disulphide being present then it only takes temperatures of 90°C to cause ignition. So, onto this numbering scheme – there are a set of surface temperatures split into so-called T-classes, T1 to T6. T6 is the most universally applicable covering surface temperatures lower than 85°C. T1, at 450°C requires that the user knows that the most volatile gases won’t be present on site. Custom T marks are also possible, e.g. T120 would denote a 120°C max surface temperature. As you have now seen, the T-class is a product of the maximum power dissipation in an electrical product, added on to the maximum ambient temperature. If as a user you have a high ambient temperature, such as a 140°C wellhead then you are already limited to the T-classes of the equipment mounted to it. From the other point of view, as a manufacturer, if you make something with a high ambient temperature to suit many applications you will be limited if customers require low temperature T-classes. This is the reason why some products will carry different marking options.